Meditative, peaceful and calming, watercolour painting offers a sense of control and self-worth to everyone, with no judgement or goal beyond the joy of painting itself. 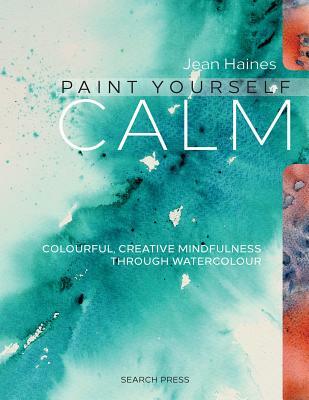 This book shows you how to calm and enhance your outlook through the movement of brush on paper. A member of the Society for Women Artists (SWA), international watercolourist Jean Haines is well-known for her love of her chosen medium. Having lived and travelled in many countries, this popular artist has had the opportunity to develop her skills whilst under the influence of masters from many countries, including Asia, the Middle East and Europe. She studied brush control while living in China and this had the greatest impact on her style. Later, when working with artists from India and Pakistan, she became inspired by the vibrant colours they used. The combination of East meets West in Jeans style is to be enjoyed. The magical free flow of water and colour straight on to a blank working surface (with no initial drawing) creates amazing results, often leaving her audience breathless with delight. Her paintings can be found in homes all over the world and in 2009 she won the Anthony J Lester Award during the SWA Annual Exhibition, where her work was likened to Joseph Crawhalls of the famous Glasgow Boys group of artists. She regularly writes for art magazines and exhibits in a number of galleries. Her hugely successful workshops are held regularly in the UK, and in 2014 she visited Australia for a Book Signing and Workshop Tour. In 2015 she will be visiting California, New York and St Louis in the USA to hold workshops and launch her new book 'Jean Haines' Watercolour World'. Jean lives in Crookham Village, Hampshire.